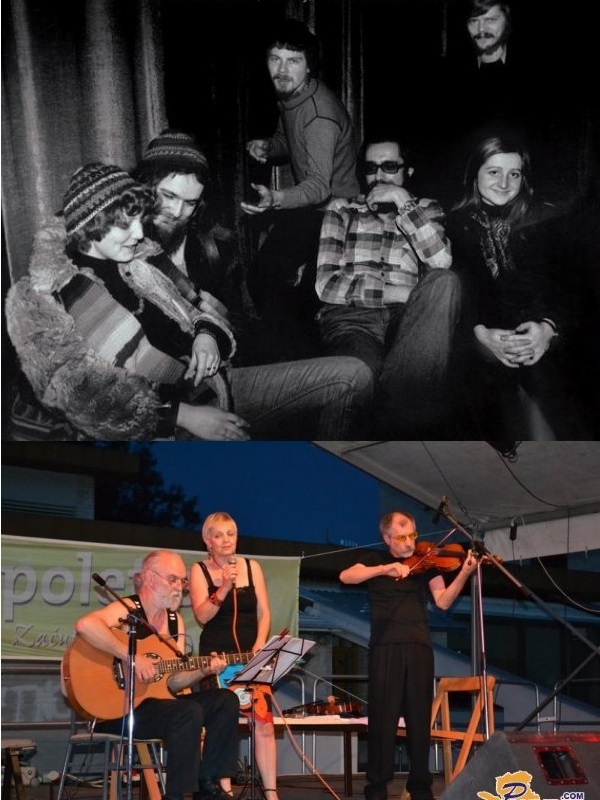 Former Yugoslavian and Slovenian singer/songwriter Veno Dolenc and his wife Melita formed an acoustic progressive folk band SEDMINA in Ljubljana 1977, with Lado Jaksa (clarinet, piano, flute), Edi Stefancic (acoustic guitar) and Bozidar Ogorevc (violin, viola). "Sedmina" means "the seventh" in English and is also interpreted as the seventh night after a funeral when family gives memorial to the deceased. SEDMINA used traditional instruments and gave an alternative interpretation of folk songs. Being also a fine artist, Dolenc created interesting surrealist and dreamlike artwork of their album covers. After two albums, Veno and Melita divorced so the band split apart. They both led solo careers, but Dolenc also formed a group DUMA with singer Klarisa Jovanovic in the late 1980s, whereof the new SEDMINA grew out, releasing three more albums in the 1990s. The final line-up included Mitja Perko (guitar), Slavko Meglic (double bass), Jean-Pierre Babatunde (percussion) and many guest musicians. 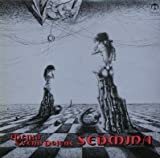 The first two albums "Sedmina" and "II dejanje" are essential listen to any psychedelic/acid ethno and prog folk fans who enjoy acoustic music with male/female vocals. They both were reissued by Italian label Mellotron in 1996. Why this artist must be listed in www.progarchives.com : One of the most interesting acoustic prog folk bands of ex Yugoslavia and now Slovenia. 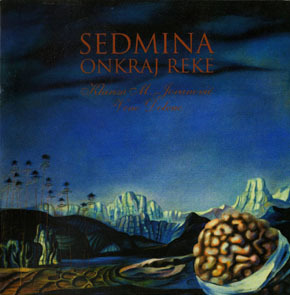 The transition between SEDMINA's debut of more less straightforward and catchy Slovenian folk music to this quintessential prog folk album is remarkable given the scant interval of 2 years. When one considers that prog was truly in its dark ages in 1982, one can't help but wonder what possessed Melita and Veno to wrestle with that dinosaur. My impression is that, like many artists we identify as prog, they weren't willfully electing that route, but had become more comfortable with their musical relationship and their popularity, so did consciously attempt more challenging music. As others have noted, the evolution is so dramatic that one can't help but feel disappointed at first, the innocence of that debut wholly supplanted by sophisticated compositions and vocal and instrumental arrangements. Luckily the album does have one immediately lovable number, that being the divine "Ciganka" (which means Gypsy in Slovenian), with a dazzling tune and intertwined voice, clarinet and acoustic guitar. It expands upon the earlier experience and, truth be told, if every track here shimmered in this fashion, I would award 5 stars, as it should have been an instant folk classic. It's worth noting than in 2010 reunion concerts, this was the representative from "Dejanje". With this hook into the album, the pleasures of the other more oblique numbers are granted space to unfold slowly but surely. "Circus" is the better of the two longer pieces, and is structured like a suite, with several loosely connected themes. But "Pav" shows that they can stuff just as much in a more compact deliverable, the relatively straightforward vocal segments contrasting with lively Klezmer-ish instrumental passages. "Fotograf" falls appealingly between the less and more intricate efforts. I know it isn't geographically appropriate and one can probably find better similarities with groups formed by couples in neighboring villages, but I still think the analogy to some of the folkier Basque prog that emanated from the post-Franco era in Spain. A parallel with ITOIZ is worth signalling in that they transitioned from largely acoustic folk to full fledged folk accented prog between albums 1 and 2. Moreover, the tribal nature of the vocal arrangements and the incisive strings remind me of some of other Basque bands like HAIZEA and ERROBI. 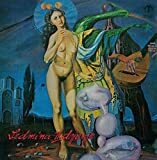 Sadly, this was the last SEDMINA album for almost a decade, and the dissolution of the marriage meant than Veno carried on without Melita, so "Dajanje" remains the most evolved recording involving both artists. One can't help but wonder what the third act might have been if they could have at least mended their personal differences to carry on professionally. Highly recommended. 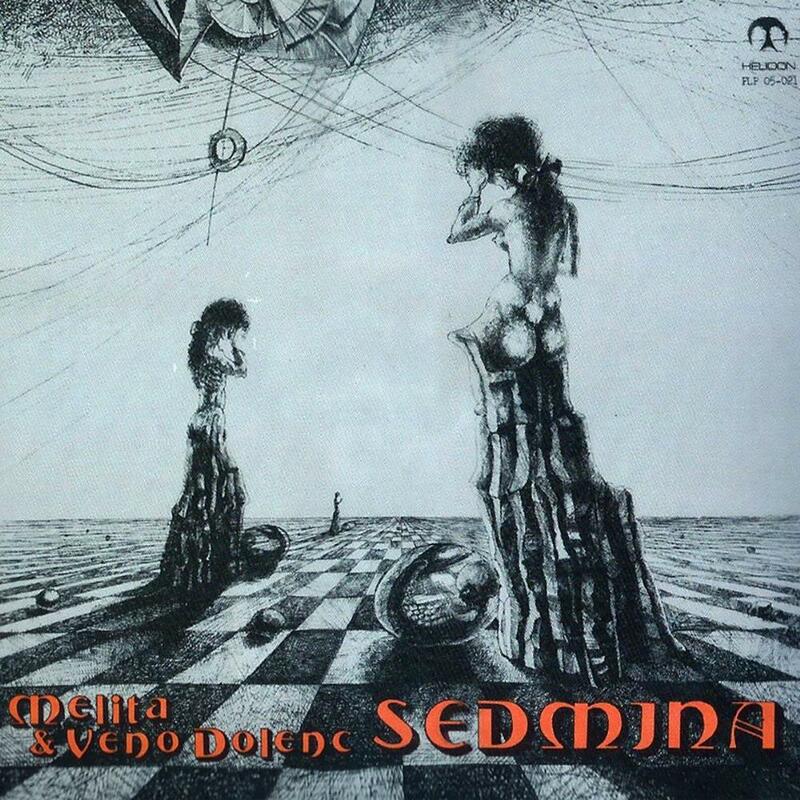 While SEDMINA might be better known in progressive circles for later albums recorded after the breakup of the original matrimonial duo, I'm happy to make the acquaintance of their 1980 debut. Essentially a straightforward collection of mellow Eastern European folk music, the blend of Slovenian vocals, particularly the bell like Melita Dolenc, the creative melodies, and the daunting display of acoustic instrumentation make this a worthwhile listen for most who are not insistent on complexity. Apart from acoustic guitar, colorful piano, flute and violin also grace the arrangements, and the mood is like that of a subdued ITOIZ. Perhaps my favourite is the divine "Jutro", that could have come out of a sophisticated singer songwriter canon, and I suppose it did, while a little more variety in the tempos is welcomed in the form of the clarinet led "Svatba". But since each piece is well crafted, your own preferences may vary. While Melita and Veno divorced sometime after the sophomore album, leaving Veno to carry on the name for a few more releases, it's heartwarming to know they buried the hatchet in 2011 for a series of concerts that returned to this source for a good portion of its setlist. Recommended for fans of non Anglo acoustic folk. Psych/Folk group from Ljubljana, Slovenia, found in 1977 and led by vocalist/guitarist Veno Dolenc and his wife singer Melita Osojnik.Gaining some significant reputation through live performances and TV appearances the group headed for the recordings of their debut simply entitled ''Melita & Veno Dolenc'', for the artwork of which Veno Dolenc was responsible,as he was a painter as well.The album was originally published in 1980 on Helidon FLP,the music department of the Maribor-based book company Zalozba Obzorja.A CD-reissu followed some 15 years later on Mellotron Records. Performed by an 8-piece group mainly with traditional instruments,the album is characterized by its very mellow and often melancholic atmosphere, being much based on the Dolenc duo's vocals with no instrumental break-outs at all.The musicianship lies around the acoustic crescendo of Veno Dolnec along with soft violin parts and supported occasionally by light piano passages, accordion and flutes, reminding a lot of German OUGENWEIDE.However the twelve tracks are very short with simple structures and heavy lyrical content, being much in a Psych/Folk vein and far from anything progressive.Of course some of the vocal arrangements really shine,like on ''Deklica z vzigalicami'', '' Veter Beli Koni'' or ''Ljubica'', highlighted mainly by Melita's ethereal voice. I can see no other than a Folk lover admiring this release, which is neither progressive nor even that challenging.If you like simple folk melodies,this album might be of some interest, but I wouldn't recommended it at all for fans of Rock or progressive sounds. Sedmina is the Yugo folk music duo of Veno Dolenc and Klarisa Jovanovic, along with a slate of special guests on different instruments. While no expert on European folk in different languages, the music here is in the universal language and very effective. This is a fine example of taking somewhat traditional and regionally influenced folk music and dressing it in contemporary, borderline proggy arrangements. You have male and female vocals, sometimes alone, sometimes harmonizing, over acoustic guitar. On top of this they add diverse spices like flute, viola, cello, sax, clarinet, tuba, harmonica, accordion, and hand percussion. The result is an experience very much like the group Pererin which I realize is an obscure reference but it is the closest I can think of. One cool thing about this album is that it carries a certain timeless beauty. Listening to the music you really cannot tell what year this came from. It could have come from any decade of the last fifty years. The sounds are almost exclusively acoustic with just a very few brief blips of electric guitar. "Jaga Baba" is the longest track and features the same romantic and road-traveled mysterious feel as the rest. Acoustic guitars bathed in strings, with lovely vocal harmonies over the top. The hand percussion is in the background keeping the piece just a bit lively and the melody is advanced by occasional clarinet. The title track adds some thumping bass in a rather bold and anthemic sounding piece followed by a solemn hummed hymnal in "Na Poti v Krasnodar." As far as I know this is the last album from Sedmina. Too bad, as I’ve enjoyed listening to their evolution from the austere debut more than twenty-five years ago, to this very mature and rich-sounding swan song from the end of the nineties. The accompaniment has been trimmed back a bit from the previous two albums. Gone are the string section, as well as several of the violins, woodwinds and brass that appeared on the band’s 1998 release. But no matter really, since what remains is put to good use. A complaint I have of the band’s two previous albums is the abundance of talent in the guest musicians, much of which was underutilized. That is not the case here, and right from the start with the reworked version of “Balada o Gospeh Minulih Dni” (Ballad of the good gentlemen of yore, or something like that), the attention to the instruments is more noticeable. The acoustic guitars sound as if their recording mics are either higher quality, placed better, or mixed cleaner; but in any case the guitar is crisp and acoustically vibrant. Dolenc and Jovanoviæ still provide virtually all the vocals, but for the first time really we hear Jovanoviæ ranging out from her expected harmonies into melodic passages and seductive verse. The result is the most folk-sounding album Dolenc has fronted since the 1981 debut with his former wife. Cello and viola are still present here, but as near as I can tell there is no trace of violin, so the mood becomes a bit deeper and more melancholy than the ‘Onkraj Reke’ release, but not quite as much so as 1998’s ‘Rojstvo Idola’. The piano returns with a vengeance, filling in where string quartets and samples and recorders and multiple violins and the like failed to take root on the previous two Dolenc and Jovanoviæ albums. The tracks here tend to be quite short, most only around two or three minutes. One exception is the nearly eight-minute long “Omen”, but despite its length it turns out to be rather uninspired with too-long extended vocals and mildly jazzy piano backed by moody strings. Many of the shorter works are more adventurous, or even just more folk. “Žerjavi” is a rather unexceptional cello/piano slow number with Jovanoviæ fronting on vocals, but at least its well-done and very much in keeping with what one expects from this band. “Coprnica” on the other hand launches into a flamenco-like rhythm and narrative vocals between the two spouses that I’m sure tells some sort of amusing story. “Grad” focuses on percussion to yield an ethnic feel steeped in mystery and adventure. And “Daljave” is drenched in wispy flute and 12-string guitar. So the songs, though short, do give evidence that Dolenc was still experimenting with sounds and finding the drive to introduce new things even as the Sedmina project was fading away. This album is a definite improvement over the last, and I would say ranks with the second Sedmina album as their best. Hard to believe that Dolenc and Jovanoviæ never found their way to release another of these, but my understanding is both are involved in solo careers and other projects. I would say this is yet another Sedmina album that is highly recommended to prog folk fans, as well as to those who enjoy strings and piano behind mature and vibrant vocals. Four stars. 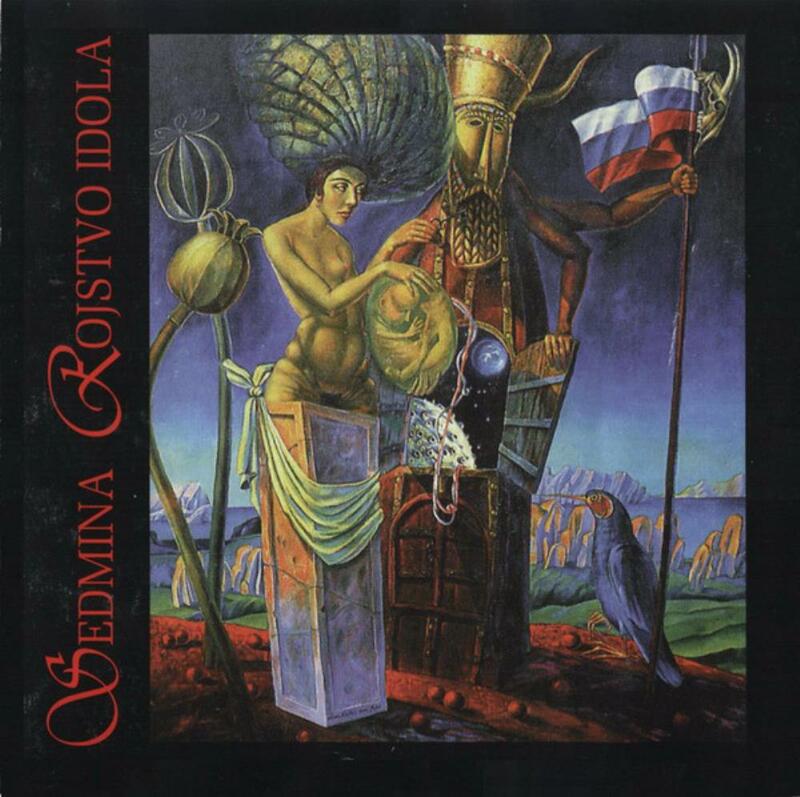 As an ethnic folk album the music of ‘Rojstvo idola’ is generally emotive, well-crafted and fundamentally not much of a departure from their previous releases. 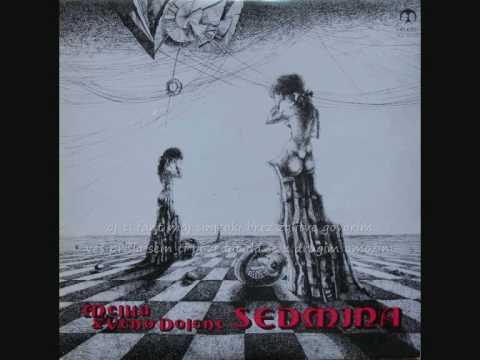 From a progressive music perspective however, the fourth Sedmina album is a bit of a step backwards. The lineup here is largely the same as on the previous ‘Onkraj Reke’, and is centered around the husband-wife pair of Veno Dolenc and Klarisa Jovanoviæ. On their third album there seemed to be a more distinct separation of the vocal duties between the two of them, and there were as many solo performances as duets. Here this seems a little less pronounced, with Jovanoviæ leaning more to a complementing role backing her husband. The tracks here are much less distinctive than on previous works of the group, most of them being very slow, moody, almost glum in many places. There are a few interesting exceptions, most notable “Druidi” with its complex blending of Mediterranean, Celtic and southwest Asian rhythms and instrumentation. The traditional folk tune “Igraj v kolu, jabolko” gets a decent treatment, but like the band’s third album one of my complaints is that they just don’t seem to take full advantage of the vast array of instruments and musicians at their disposal in the studio. Besides the vocals you can hear acoustic guitar, woodwinds (mostly flute), and also some clarinet. The strings are quite muted throughout, and the addition of a cello is a great opportunity lost as its not used to full effect anywhere really, except on the opening “Zapuščena” and “Druidi”. A couple tracks (particularly the wandering and unfocused “Ptica”) seem to lumber along spreading a cloud of gloom in their wake but without any redeeming hope or humor. That track especially in the middle of the album really seems to bring it down to a place where there is no real recovery. These are a collection of earlier recordings, and I believe most of them were actually recorded earlier than those on the previous release ‘Onkraj Reke’, which itself was a collection of tracks recorded several years before their release. These on the other hand were released on cassette under the band name Duma, and I believe represent the first published works of Dolenc and his then-new bride Klarisa Jovanoviæ. I can say with confidence they got better. This is not a bad album, but the bar for these guys should be kept high and this one album doesn’t quite rise to that level. This one is definitely for collectors, and probably of some interest to most prog folk fans, but I wouldn’t go too far out my way to find it. Since it has value and interest beyond just collectors I’ll give it three stars, and recommended for Sedmina fans and for the curious. Well after more than a decade since the last album, a change in wives, a complete overhaul in supporting cast, and a stint under the band name Duma, Veno Dolenc returns with a third Sedmina studio release. Klarisa M. Jovanoviæ replaces Melita Osojnik both in Dolenc’ life and in his music, and the rest of the players are all new as well with the exception of violinist Božidar Ogorevc. Jovanoviæ has a voice that is both broader in range and in emotion than Osojnik, but on the flip side she also comes off as more of a mainstream talent than an the earthy traditional folk sound Osojnik managed on the band’s first two albums. Instrumentally this is also a broader and richer sounding record. In addition to Ogorevc on violin, La Danza Apocalypsa Balkanica multi-instrumentalist Boris Kovaè adds saxophone to the band’s repertoire, along with providing the clarinet and piano previously played by Lado Jaksa. The group also invited a Slovenian string quartet led by Enzo Fabiani into the studio, as well as tuba player Stanko Kemperle who appears on “Marija in Brodnik” most notably, and less prominently on several other tracks. Former Buldozer guitarist Uroš Lovšin takes the band electric for the first time, and also plays some lute but not all that noticeably; and classical artist Slavko Megliè plays upright bass. There is also a second violinist, cellist, percussionist, and accordionist Mirko Šlibar. Oh yeah – and I can hear the Jew’s harp in a few places again as well. So there are a lot more sounds to work with here, which surprises me a bit since there doesn’t seem to be a lot of care taken by Dolenc to capitalize on all the new sounds he has at his disposal. His voice is once again strong and rich, and Jovanoviæ walks a tight line between harmonizing and coming across as a second featured singer in her own right. On several tracks like “Volk” Dolenc dominates, while on others such as the title track the two of them seem to be interested in presenting a duet of equals. But the rest of the instrumentation is just a bit too understated in my opinion. The Van Gogh tribute “Hommage Vincentu van Goghu” includes a bevy of accordion and percussive sounds; and on “Na poti v Krasnodar” the piano turns electric; but besides the Baroque-like “Sarabanda” the large group of talented backing musicians are underemployed in the studio as far as I’m concerned. Too bad, because these arrangements would have led themselves quite well to more string, keyboard and percussive embellishment. But maybe that’s part of the point with prog folk music: to not get caught up in a sort of ‘wall of sound’ approach to music-making. If that’s what Dolenc was going for – he nailed it. Either way, this album is quite good but not exceptional in my mind. I’m tempted to give it four stars like its predecessors, but it’s just not quite that great. So three stars it is, but still well recommended, especially to world music fans. There are several noticeable differences in this album over Sedmina’s debut two years prior. First, the vocal interaction between Veno Dolenc and Melita Osojnik is much less about folkish harmonies, and much more about alternating, almost call-and-response pairing. The overall tone has also moved away from languid, traditional and acoustic guitar-driven storytelling type of arrangements, to much more string-intensive compositions featuring alternating violin and viola; and also the clarinet is featured much more prominently here than in the first release. That said, these are positive progressions of the duo’s music, and the sometimes-flamenco sounding, sometimes-Slavic leaning sounds make for a richer experience overall. And for the first time there are some noticeable breakouts of instrumental solos and duos scattered throughout – violin on “Ciganka”; clarinet and viola on “Circus”, which would also prove to be the longest composition the band would ever record at more than nine minutes; and clarinet for the better part of “Gledalisce”. Veno Dolenc’s vocals are featured more prominently here as well, although he seems to have found conviction in his singing which is more pronounced and confident than the first time around. There are even some improvisational jazz touches to be found, particularly on what appears to be the reworking of a traditional tune with “Pav”, and with the closing “Kolo (Za Dusko)”, which also presents interplay between the clarinet and violin, played by Lado Jaksa and Božidar Ogorevc just as they were on the first album. The change in tone and composition here reminds me a little of the way Bacamarte evolved between their first and second albums, with this comparison also showing more influence by the male musician and a tendency to use the female voice to complement rather than augment the songs. This is an interesting development of the Sedmina sound, and one that unfortunately would not have a chance to evolve further as the couple split in the years following this release. Sedmina would resurface several years later, but by then Dolenc would have a new wife and only Božidar Ogorevc would return with him for a third album. The first couple of times I heard this album I had some difficulty getting into it, as I had come to expect the type of harmonic duets that made the first release so appealing. But this one has its charms as well, which repeated playing manages to coax out. Another highly recommended work for prog folk and world music fans, and another four star performance. 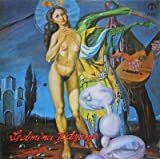 This is the first of two releases by the Slovenian husband-wife team of Veno Dolenc and Melita Osojnik, who formed Sedmina in the former Yugoslavia in 1977. The group disbanded sometime in the 1980s when the couple divorced, although Veno Dolenc would reform under the name Sedmina in the late 1980s with his second wife Klarisa Jovanovic. Melita would go on to an expansive career as a multicultural performer of mideastern and Mediterranean-flavored folk. 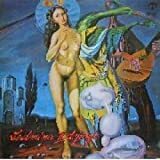 This first album is the more primitive of the two by the original couple, featuring exclusively acoustic instruments and fairly innocuous folk vocal harmonies. That said the two of them sound great together, although I have heard stronger make vocalists from this region. Ms. Osojnik is pretty much perfect though, accenting her husband well and maintaining a pleasantly-toned harmony on pretty much every track. The instrumentation here is rich world folk fare: acoustic gruitar and the weird humming/flapping of the tamboura; violin and viola from guest musician Bozidar Ogorevc; and flute, recorder, clarinet (and understated but persistent piano) from jazz artist Lado Jaksa. I’m not even sure what language this is, so the meaning of the lyrics for sure escapes me. 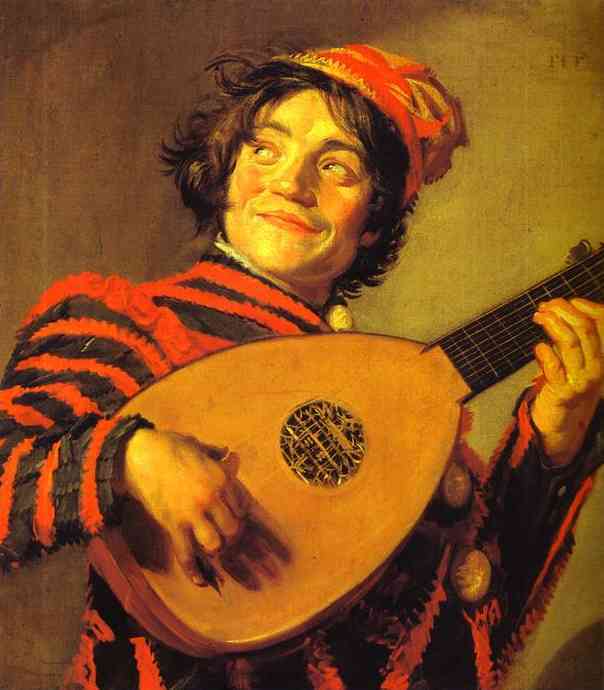 But words aren’t as important in world folk music as they are in the kind of folk you listen to from your own region. The real treat in music like this is to be able to experience different instrumental sounds, unusual rhythms and tempos (at least compared to what you’re used to), and sometimes even a treat with outstanding vocals singing words whose meaning is superfluous to the enjoyment of hearing them. Well here the vocals could be a bit stronger, but all those other things are present in spades. The tamboura is an odd instrument that typically gives a piece of music an eastern lilt to it, and that’s the case here as well, particularly on “Angel Varuh” and “Ljubica”, the latter which also has what are probably the most well-formed vocals on the album. There are other odd and unattributed sounds as well, such as the Jew’s harp on “Angel varuh”, and what sounds like a theremin humming throughout “Veter beli konj”. Clarinet and viola are also not your typical instruments, even for a folk band, and their presence combines with the flute and recorder to project a very earthy tone to most of the tracks. There’s a few songs here that seem to be traditional reinterpretations, most notably the danceable “Svatba” and the ballad ”Ogledalo”. Finally, the album closes with what sounds like a love song with personal meaning for the two people singing it. Very slow, lots of mellow strings, and a nice, quiet close to the album. These guys are a bit obscure, but not hard to find. Mellotron Records reissued this and the band’s second CD a few years ago, and the later releases with the second incarnation of the band were also released on CD. I’ve really taken a liking to these guys lately for their ethnic authenticity and lovely string/woodwind instrumentation especially. This is not their best work, but it’s in the top three. Highly recommended to prog folk and world music fans. Four stars. "The Glass Hour" is the title of this album of SEDMINA and unfortunatelly it brings nothing new to the catalogue. To be sure, the songs are fine, instruments nicely played and singing of Veno and Klarisa strong and meticulous as ever. 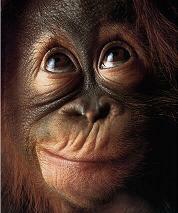 But, there is no excitement and first signs of boredom appear. Departure of Boris Kovac left a hole in a musical picture that Veno and Klarisa did not actually try to fill. 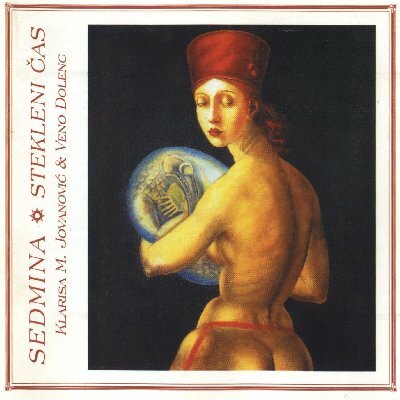 The result is the less engaging record of all 5 in SEDMINA's catalogue to date. None of the songs is strong enough to be remembered, apart from "Ballade des seigneurs du temps jadis" which showcases the multi-linguistic skills of Klarisa Jovanovic, this time singing in French. "Stekleni cas" is not quite essential for the prog folk and remains of interest to the dedicated fans. If you never heard SEDMINA before, don't start listening here!